The three puppies you’ve listed look just gorgeous. My family and I want to get a puppy/dog but can’t get one until we’ve moved into the new house we’re buying in a few weeks, however, we then have to sort back yard and put in secure gates etc. I’ll check back with you then to see if any are still available? Judging by their size what size do you think they may get to? Looking to know as our garden will be a medium sized enclosed yard. 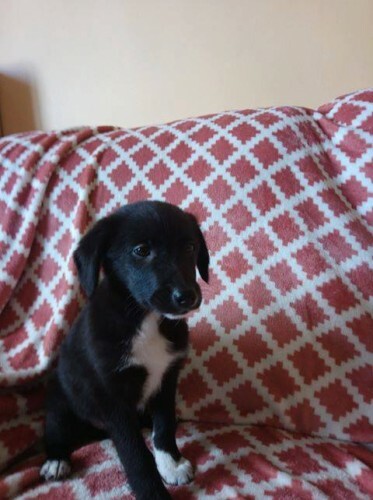 Do you think they may be collie lab cross? I see that Flo is the smallest? Also, where are you based and are you part of an animal shelter, price, etc? Hi Mary, Please contact Lindsay to discuss using the number provided in the ad. The shelter is in Ballinhassig, not far from Cork Airport. There are no fixed adoption fees but donations help us to rescue and rehome other animals. Thanks a million. Will do.